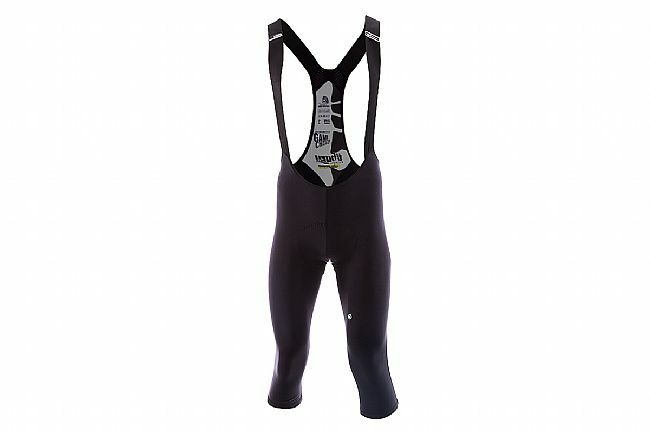 The Men’s tiburuKnickersMille_S7 from Assos feature comfort-oriented construction with an updated paneling system, wider-set bib straps, a narrower yoke, and 3D RX Heavy fabric on the three-quarter length legs. RX Heavy fabric is stretchy, fleece-lined, water repellent, and moisture wicking, perfect for cool but not cold temperatures accompanied by wet weather conditions. 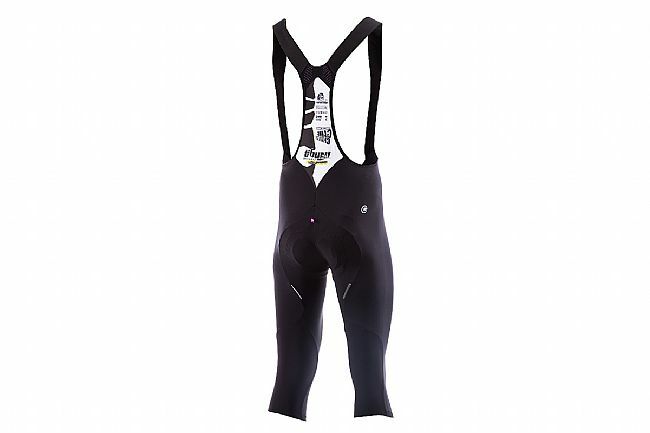 For long lasting comfort in the saddle, these knickers are equipped with Assos’ mille_S7 insert, featuring three-layer construction with 8mm of memory foam, ASSOS waffle, and ASSOS goldenGate technology for lightness, breathability, and malleability that moves in harmony with the body.